Peebles murder victim Alex Stuart. Tributes have been paid to a 22-year-old woman stabbed to death in Peebles yesterday, August 6. 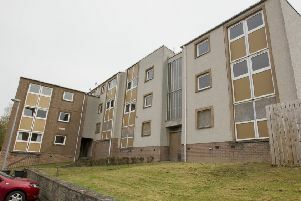 Police were called to a house in the town’s Cuddyside at around 11.20am, and Alex Stuart, a postwoman who had been out partying, was rushed to the Edinburgh Royal Infirmary to be treated for her injuries. She died during the course of the afternoon, however. Today, Nicholas Rogers, 26, appeared in private at Jedburgh Sheriff Court charged with her murder. Rogers, of Innerleithen, is also accused of assault and police assault. Rogers was remanded in custody by Sheriff Peter Paterson. Alex was well known in her home-town of Peebles through her job with Royal Mail and socialising, as well as playing for a local netball team. Her Facebook page was filled today with messages of sympathy. Chloe Muir said: “Peebles won’t be the same without you laughing, smiling and always having a party.Party hard up there. Detective Inspector Stevie Bertram, of Galashiels police station’s criminal investigation department, said: “Our thoughts very much remain with Alex’s loved ones at this incredibly difficult time. “We’re not currently looking for anyone else in connection with Alex’s death. Anyone with information can call police via 101, quoting incident number 1,871 of August 6, or report it anonymously to Crimestoppers on 0800 555111.